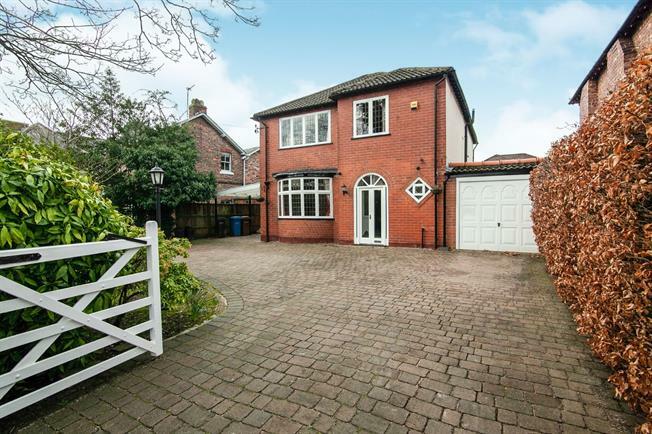 4 Bedroom Detached House For Sale in Cheadle for Asking Price £535,000. Beautiful unique four bedroom detached family home offered with no vendor chain. This four bedroom home comprises of large open hallway featuring original glass panels and wooden oak flooring, two large bright reception rooms featuring open flame fire places, large modern and recently fitted kitchen, leading to large dining area, utility room, downstairs WC and internal access into the garage. To the first floor you are presented with four good sized bedrooms and family four piece bathroom.